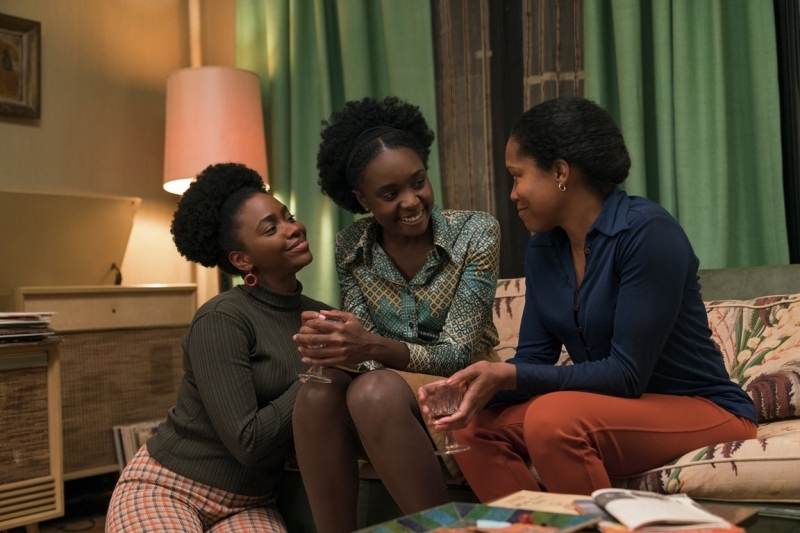 The acclaimed drama, 'If Beale Street Could Talk' is set in early-1970s Harlem, the film is a timeless and moving love story of both a couple's unbreakable bond and the African-American family's empowering embrace, as told through the eyes of 19-year-old Tish Riv-ers (screen newcomer KiKi Layne). Daughter and wife-to-be, Tish, vividly recalls the pas-sion, respect and trust that have connected her and her artist fiancé Alonzo Hunt, who goes by the nickname Fonny (Stephan James). Friends since childhood, the devoted couple dream of a future together but their plans are derailed when Fonny is arrested for a crime he did not commit. Based on James Baldwin's groundbreaking 1972 novel, and adapted/directed by the Oscar-Winning director of Moonlight, Barry Jenkins, If Beale Street Could Talk honors the au-thor's prescient words and imagery, while the filmmaker poetically crosses time frames to show how love and humanity endure. Chicago Tribune film critic, Michael Phillips, calls the Critics Choice award-winning film adaptation "Pure Cinema. What Baldwin does with words, Mr. Jenkins does visually." The film also stars Golden Globe winner, Regina King, Colman Domingo, and Teyonna Parris. Rated R, the film runs 116 minutes. Closed caption and Accessibility devices available. Reserved tickets are $9.25-$9.75 (plus fees), available online at www.theellentheatre.org, by calling 585-5885, or by visiting the Ellen Theatre box office. Visit www.bozemanfilmsociety.org for updates - and Keep 'Em Flickering!